Oil Rubbed Bronze finish is exclusive to VIGO and may not directly match other manufacturer's similarly named finishes. The VIGO Icicles glass vessel sink and Dior faucet set in brushed nickel finish is a luxurious and refreshing addition to any bathroom. The VG07006 Icicles glass vessel sink features a refreshing and inviting icicle-like pattern engraved into clear glass. Handmade with possible unique and slight colour variations, so no two sinks are identical. 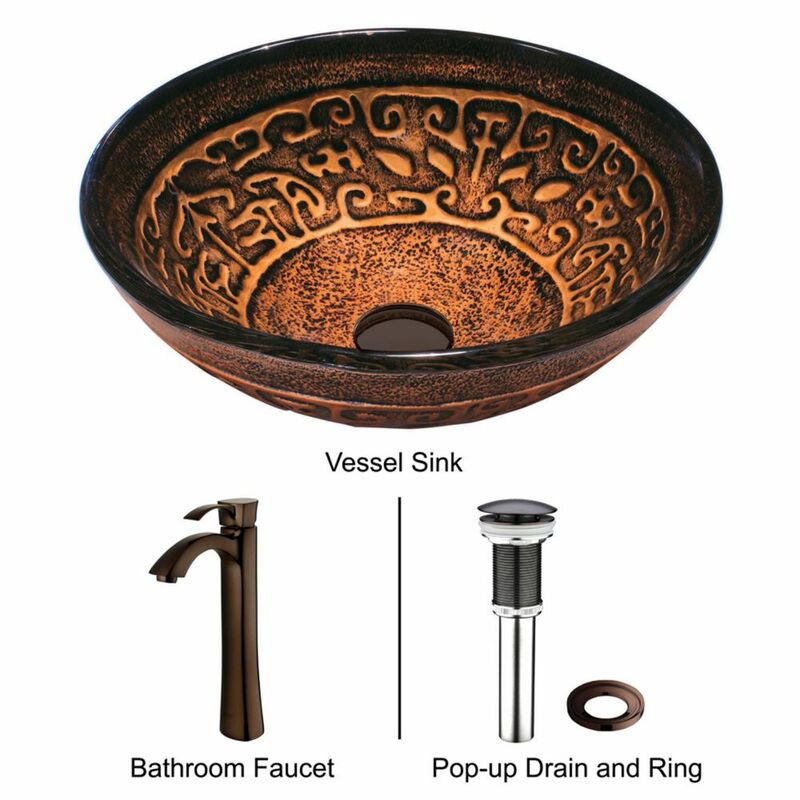 Glass Vessel Sink in Golden Greek with Faucet in Oil-Rubbed Bronze is rated 5.0 out of 5 by 3. Rated 5 out of 5 by SGarb from great product great product will buy again . Installation was easy and simple. Rated 5 out of 5 by SCYOKUMPHARMD from Great design and function! Love this glass vessel. Beautiful design and works great. Rated 5 out of 5 by SCYOKUMPHARMD from Great glass vessel! Great looks and works amazing, would definitely recommend to others.